Like most everyone, I love to save money. I am not afraid to spend money, but I hate to pay more than I have to. The trouble is, I am busy. I don't have tons of time to collect newspapers and clip coupons and I am not organized enough to keep tons of coupons and remember what I have coupons for. I am certainly not organized enough to scan every local stores' deals and match coupons to each store and visit multiple stores, etc. "Couponing" is not for me. I do love to use coupons, though, when I am already going to purchase something. I hate having to search to see if there is a coupon for what I need or the store I plan to shop at. That is why I am so happy to have discovered Groupon Coupons. I have already been saving with Groupon for years, but now they can save me money when I go shopping too. It's so convenient. 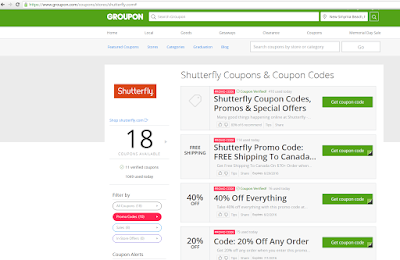 On Groupon's coupon page you can search for coupons by store or by category. If you just want to save but have nothing particular in mind, you can also browse all the available coupons, but that would take awhile since there are thousands. 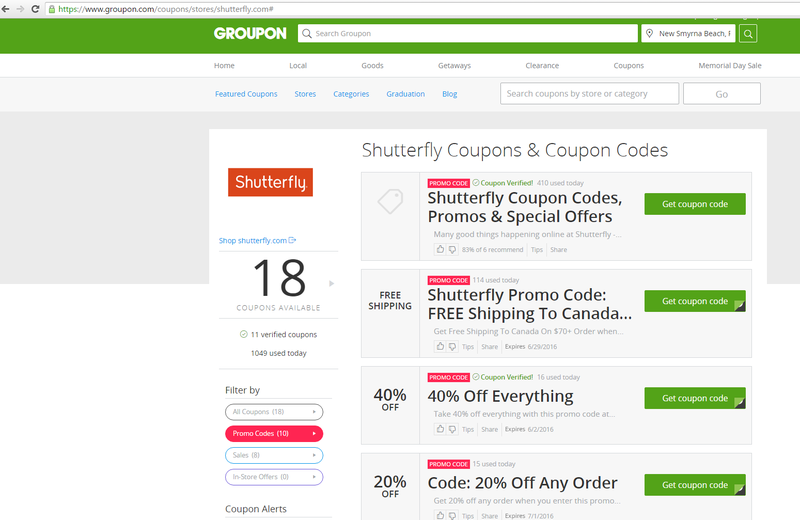 I was just shopping for photo gifts for Father's Day and I found lots of great Shutterfly coupons. I also checked out the coupons for Advance Auto Parts. My hubby is going to be a very happy camper this Father's Day, and my bank account is happy too. No overdrafts for me, and I even have a little left over, thanks to the awesome savings I got with Groupon Coupons. If you are still shopping for Father's Day (or graduation, or any other summer celebration), be sure to check out Groupon Coupons. I am sure you will find savings for the stores you plan to shop at. It only take a minute, and you have nothing to lose but the higher price. If I can do it, anyone can, because I can barely walk and talk at the same time. Let me know what you are shopping for and what awesome deals/coupons you score. FREE Kids Academy Math Games App!